Adventure park for the whole family. 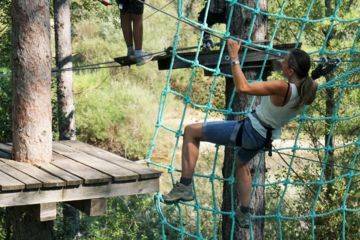 Children welcome from 2 years old / adult parcours with giant zip line 300 meters long! Relaxation area, picnic area, refreshments and ice cream. 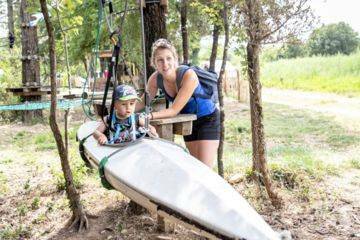 Come to discover the Accro Park, and book your formula online. To take full advantage of the different options, we recommend that you arrive at least two hours before the park closes. We are not connected to running water. 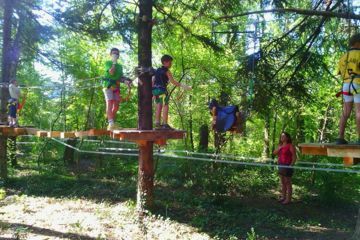 Baby parcours + Kid zipline - 2 to 5 y.o.